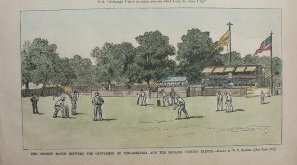 Re: (Cricket) "Philadelphia and the English." New York: Harpers Weekly, 1885. Please complete the form below. Be sure and enter your email address or phone number so we can respond.